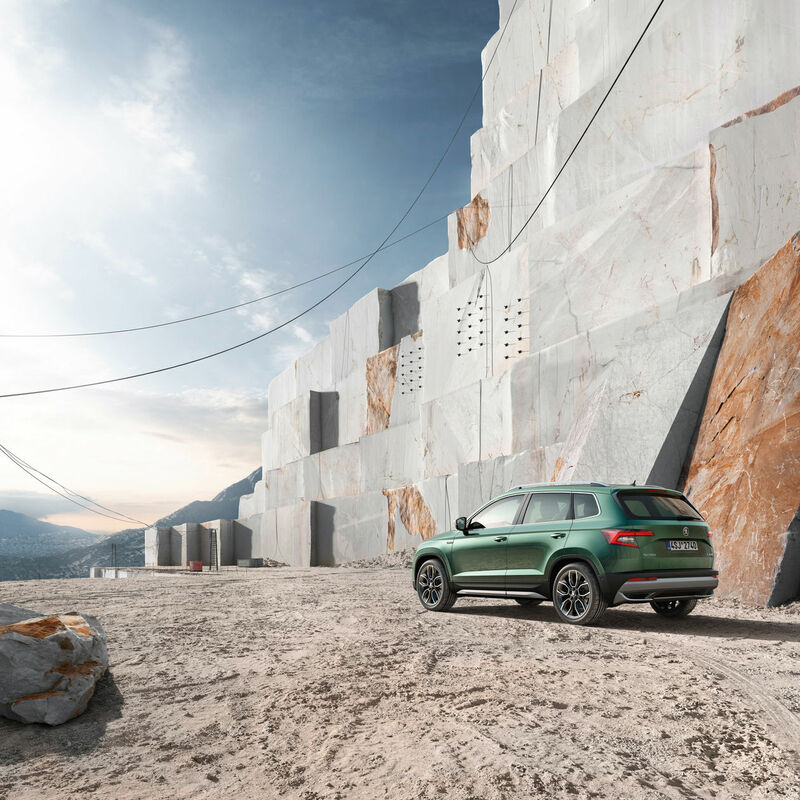 With the new ŠKODA KAROQ SCOUT, ŠKODA is expanding the range of its successful compact SUV model with a version featuring even more off-road potential. 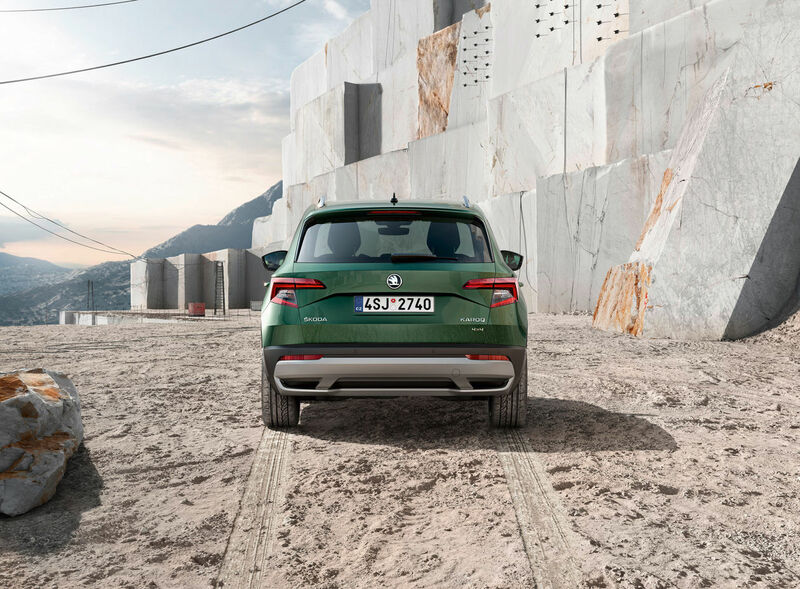 Plastic elements protect the elegant body, both in the big city and off-road. 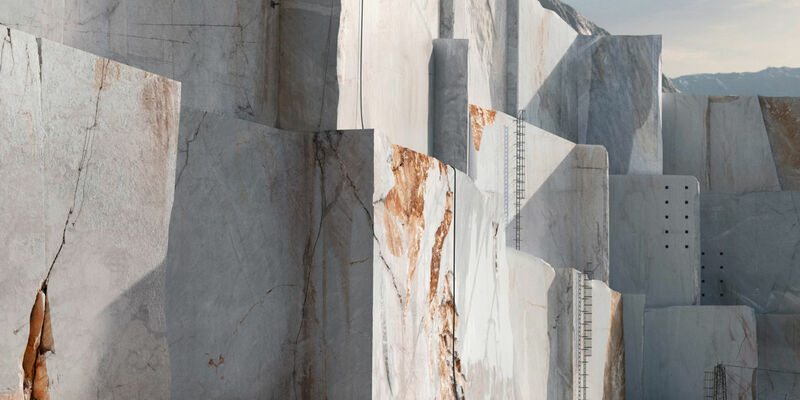 GoSee member PUNCTUM IMAGES was commissioned to generate a marble quarry in CGI for the new campaign. 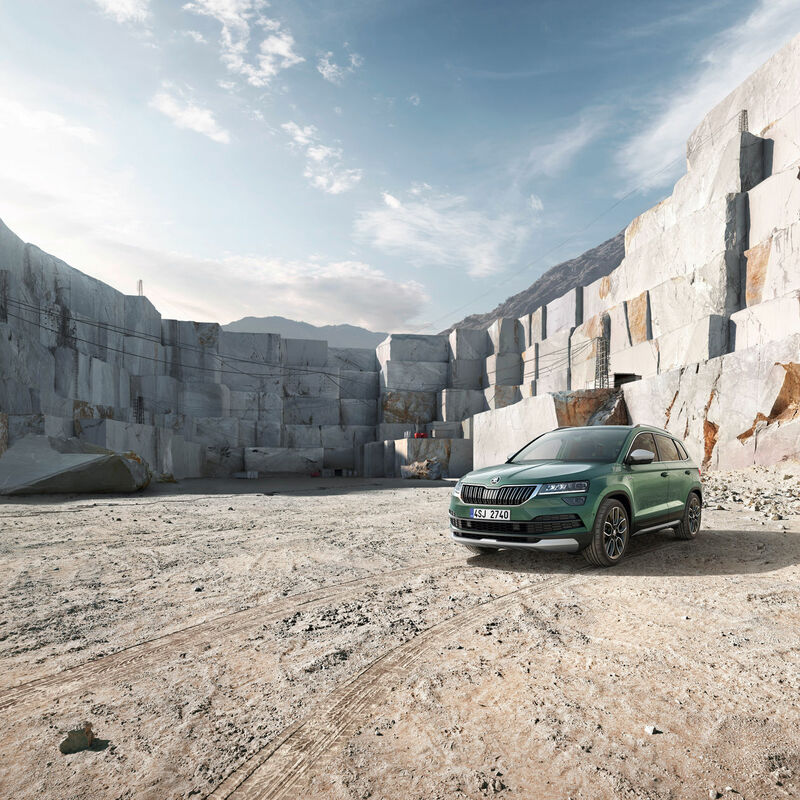 "One of our latest projects for Škoda Auto is a full CGI site of a marble quarry for presentation of the new Škoda Karoq. Our task was to create the whole environment of a quarry including all the infrastructure and machinery. 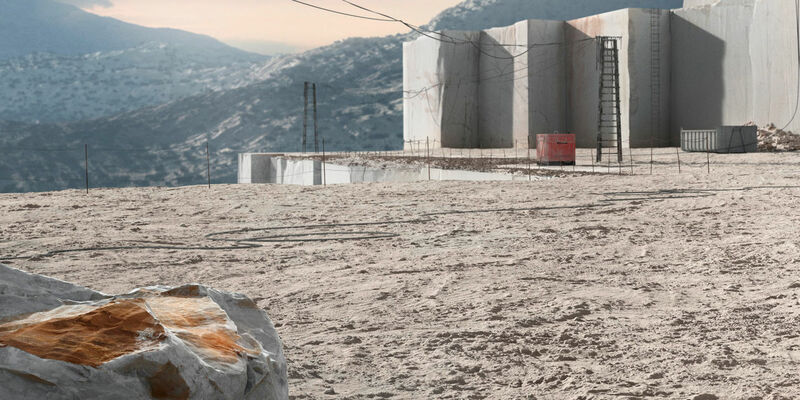 To create a photo-realistic environment of a marble quarry, we had to start by understanding the technology and principles of marble mining. Fortunately, there is a perfect place for this not far away from Prague. 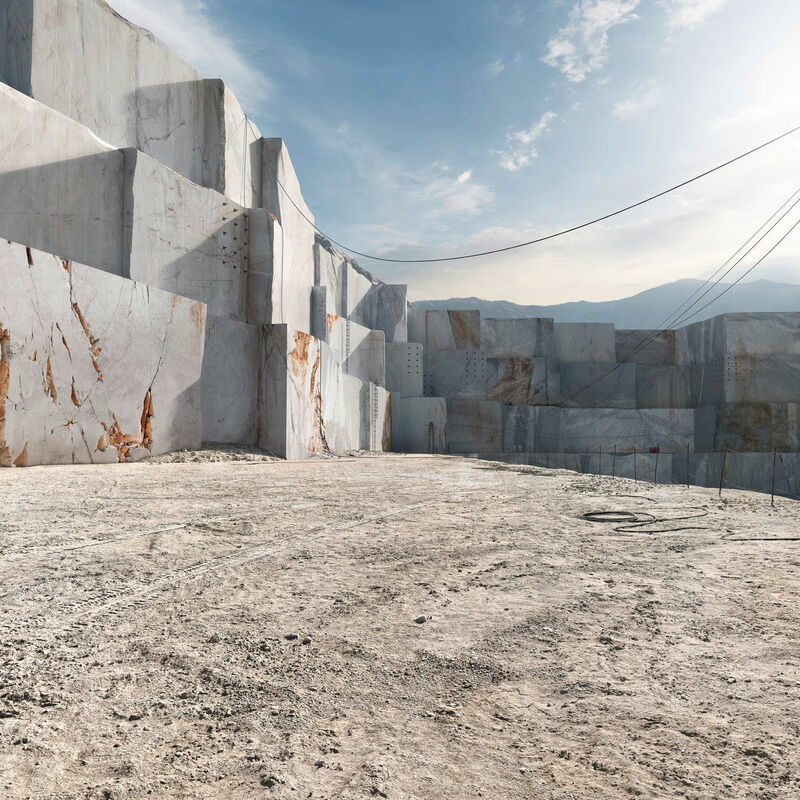 We went to the real quarries in Carrara. In just two days, we shot hundreds of photos. And our photogrammetry specialist scanned a vast amount of objects for further use in the model. With all the references and knowledge gained in Carara, we started to build the model including all the infrastructure, machinery and necessary details. 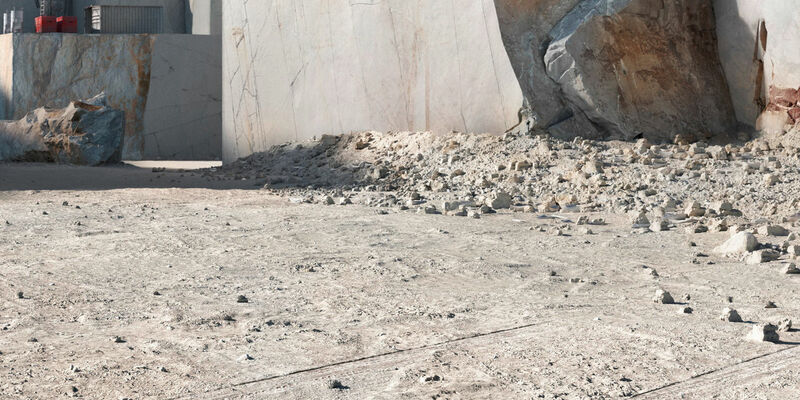 Besides an enormous amount of modeling, sculpting and texturing, we also used an endless number of 3D scans of the real marble stones and objects from the real locations. 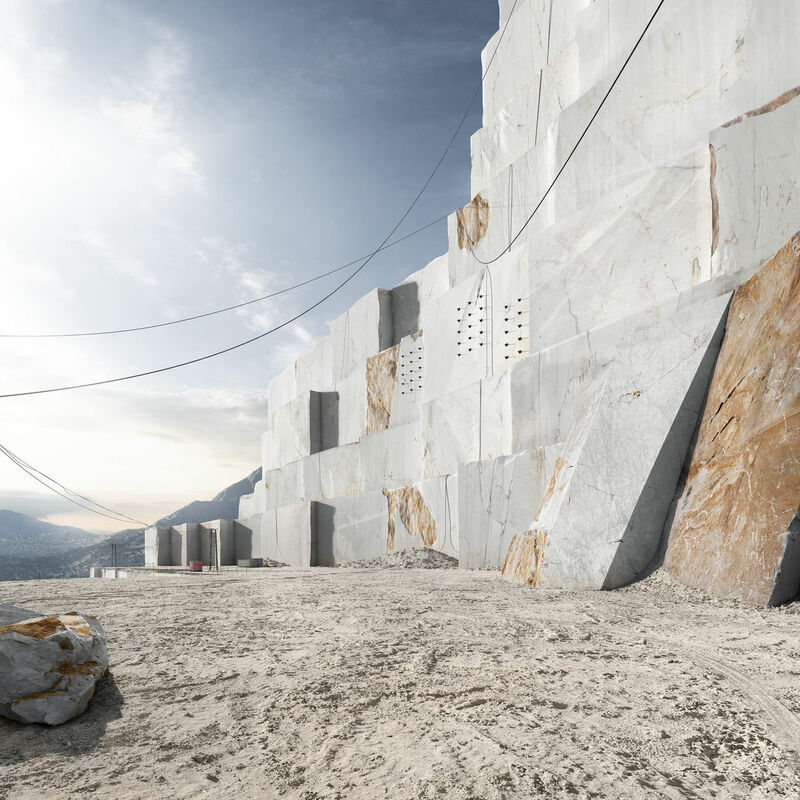 The result of the entire process is a photo-realistic environment of a quarry which offers almost an endless number of backplates. 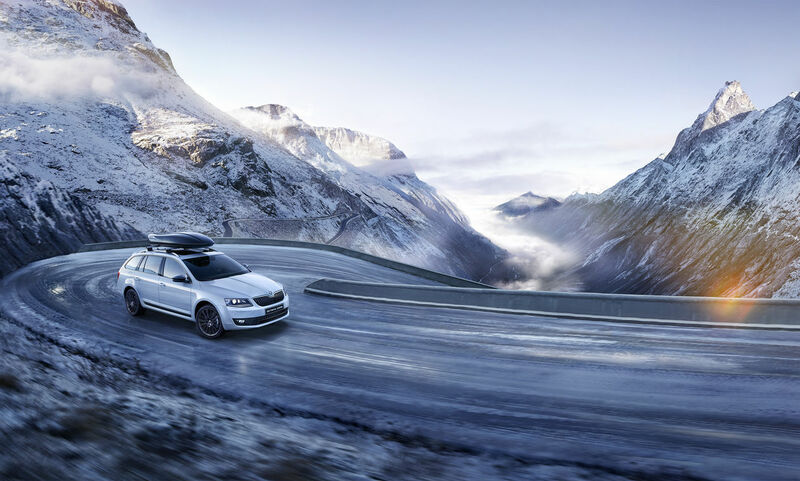 Available any time with any light and weather conditions. 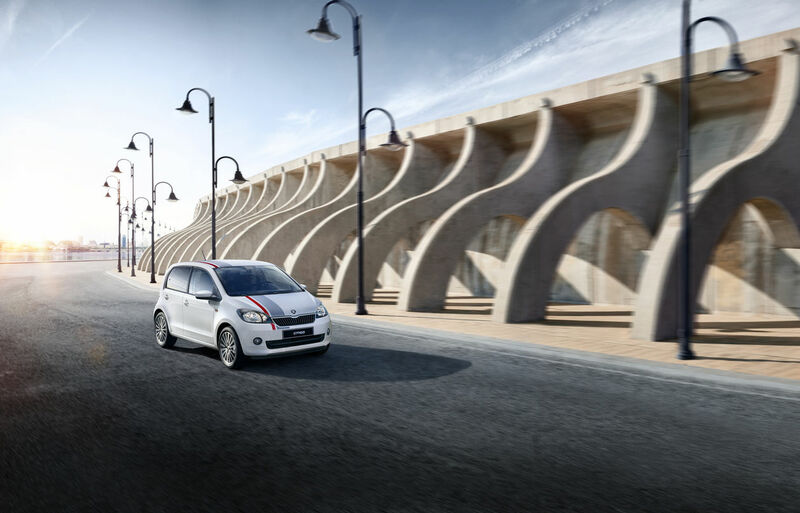 It makes the virtual location an efficient tool for a campaign." 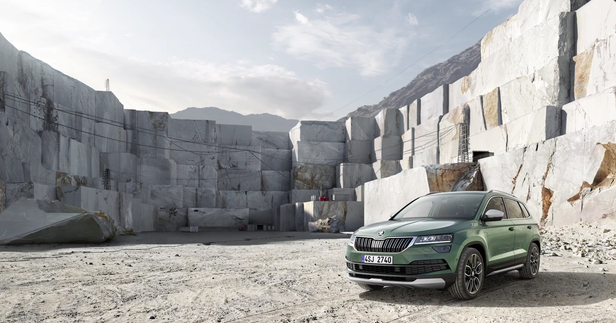 The CGI environment was the work of Punctum Images, the agency was Fallon Prague, and car was rendered by Akcent Prague. 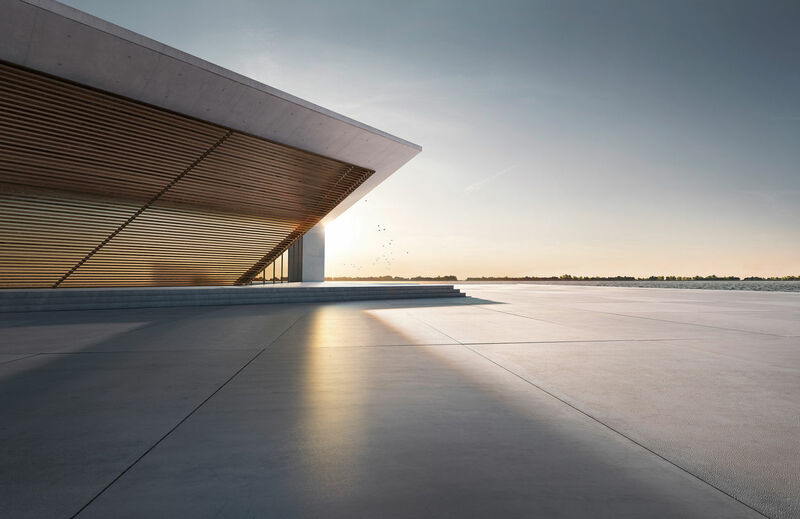 Punctum Images is a CGI & creative post production studio led by Jakub Vlček, Head of Creativity, and Tomáš Nádr, Head of Client Service, from Prague. Their services include CGI backplates/environment development, CGI visual development, 3D modeling, creative photography post production, and look development. The team from PUNCTUM IMAGES was once again an exhibitor at UPDATE!8BERLIN this year and says thanks again for the good conversations and plenty of exciting contacts. If you are interested in working together or would like more information about the new SKOD CGI project, please contact us. 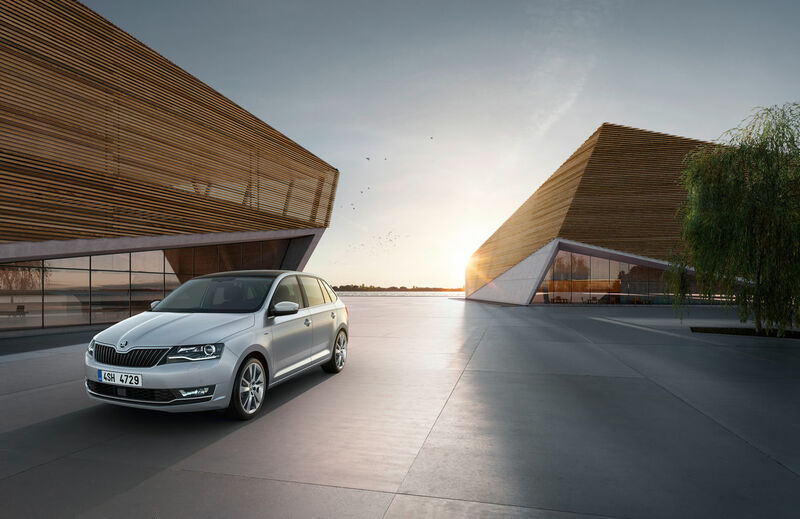 The team from Punctum Images created the CG environment for the presentation of the SKODA CLEVER RANGE for Fallon Prague. 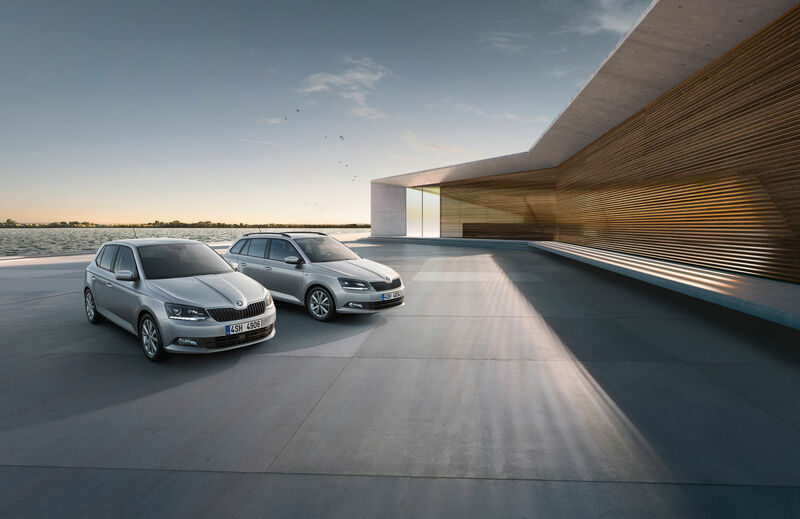 "We developed the complex of modern museum buildings surrounded by water for the presentation of the Škoda Clever range. 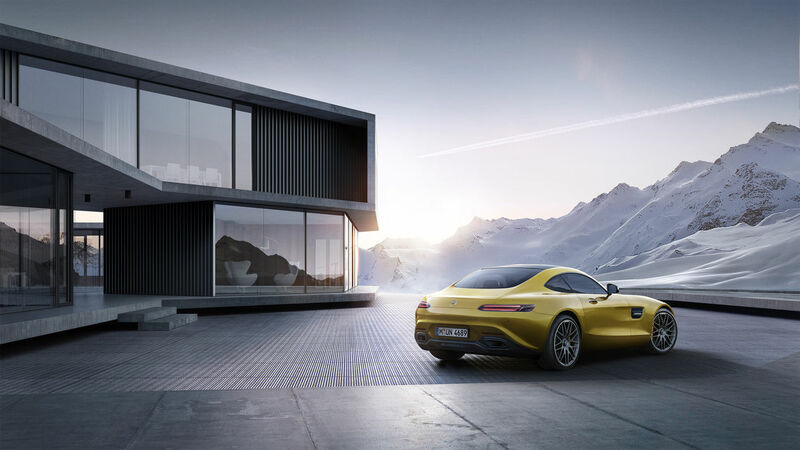 The challenge was to develop a coherent and realistic environment which will also be flexible enough to offer room for presentation of the entire range of cars. 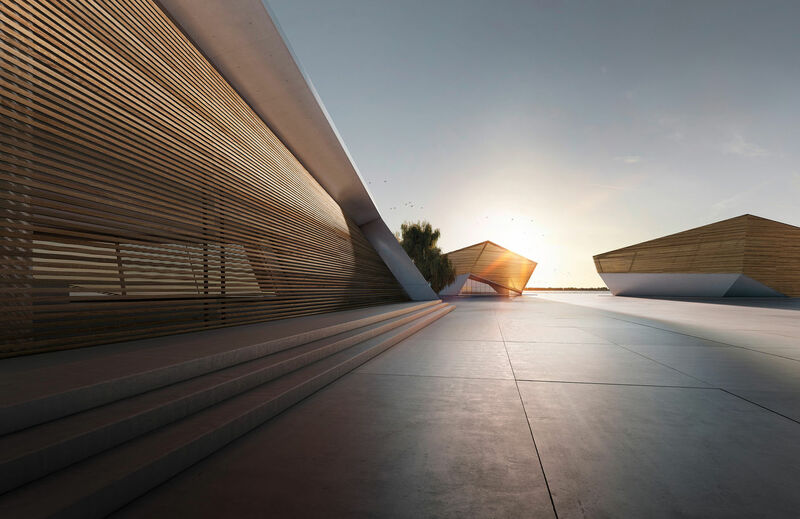 Our architect designed the set of the modern museum buildings with semi-transparent facades which create unusual light effects. 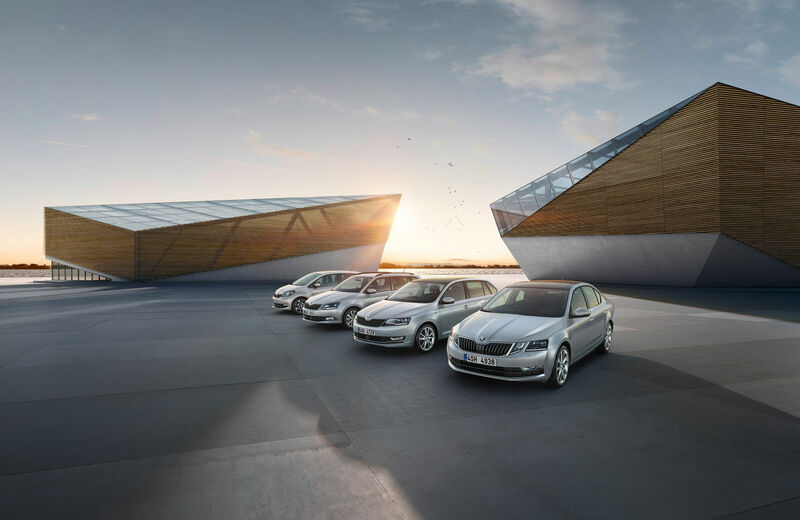 On top of that, every piece of the architecture was designed to match with the visual language of the brand. 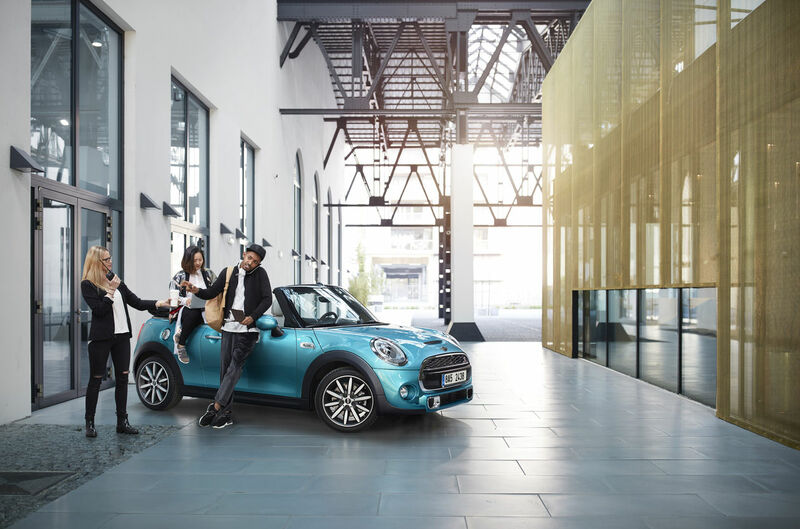 The result is the CG environment which offers unlimited possibilities in numbers of views and camera angles as well as remarkable light conditions and atmosphere for the global presentation of the whole model range," the team based in Prague tells GoSee. 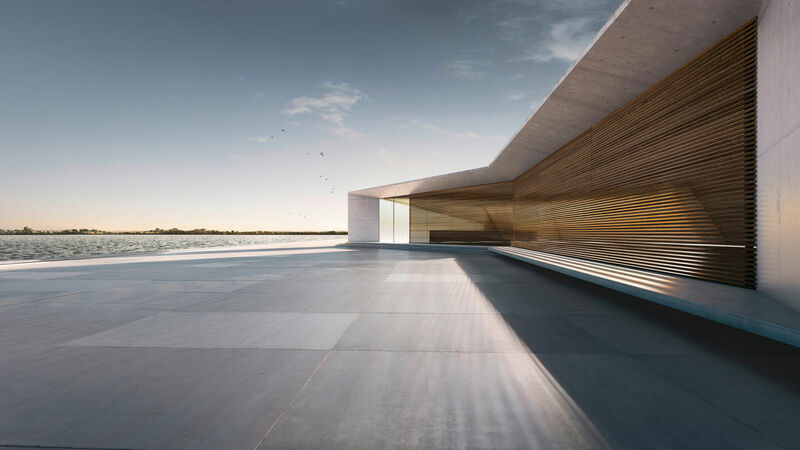 "The architecture is designed to match the visual language of the brand. 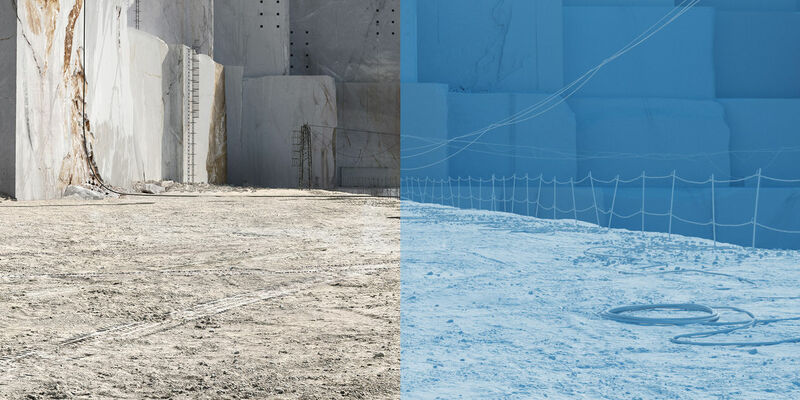 That's the great advantage of CG locations in general – we are "building" custom architecture... It's flexible environment. 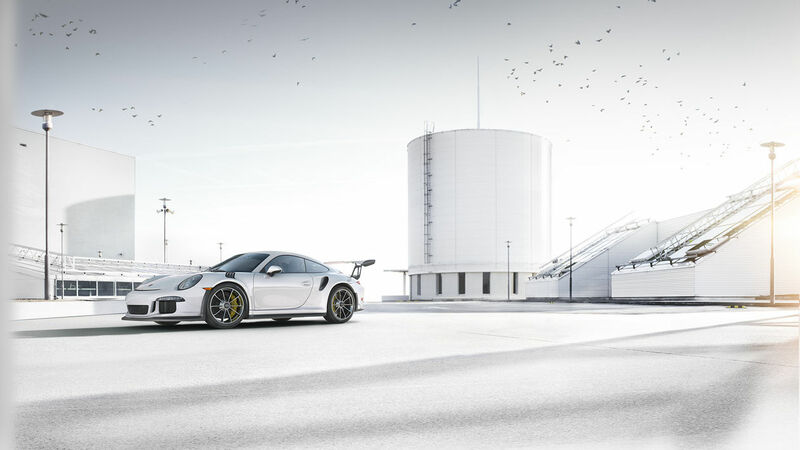 It offers almost unlimited possibilities for presentation of the cars. Shooting list included shots with just one car but also shots with seven cars…" PUNCTUM IMAGES continues. PUNCTUM IMAGES was in charge of architecture design with the support of their in-house architect. CGI and post production of the location / backplates were also realized by PUNCTUM IMAGES. 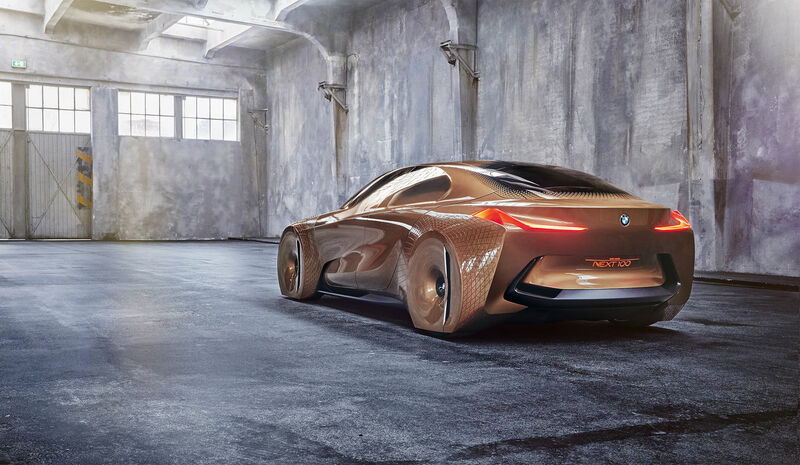 Car rendering was taken care of by Fallon Prague. 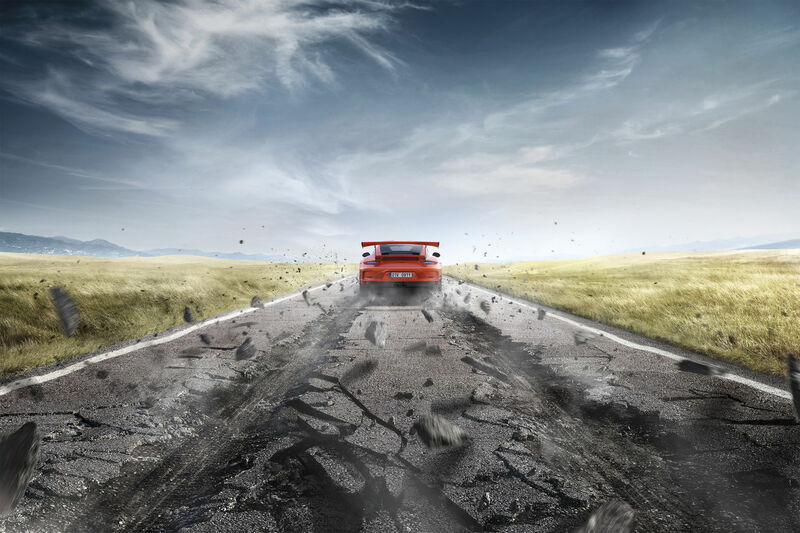 Creative responsibility on the agency side was Art Director Ales Kolaja. 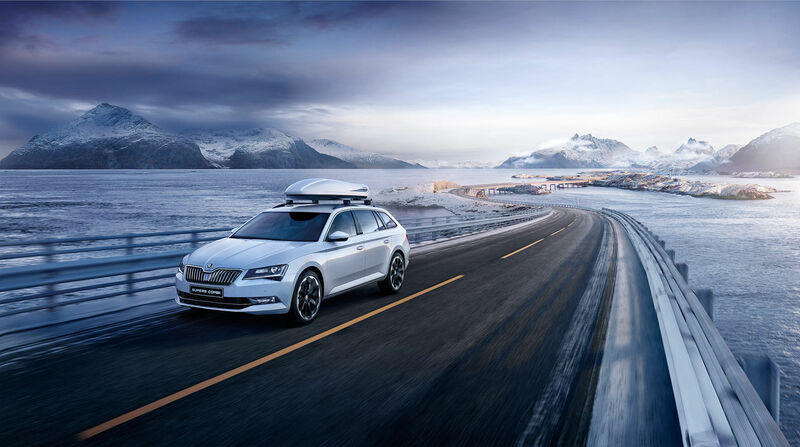 Further works from the areas of CGI, Post, Cars, Creative Retouching are available directly via PUNCTUM IMAGES. We are pleased to welcome with PUNCTUM IMAGES a seasoned team of CGI specialists from Prague on GoSee and soon as an exhibitor at UPDATE17 on 6 October in Berlin. So, take the opportunity and meet Jakub Vlcek, Head of Creativity, and Tomáš Nádr, Head of Client Service, in person. We introduce PUNCTUM IMAGES here on GoSee with a selection of new works. 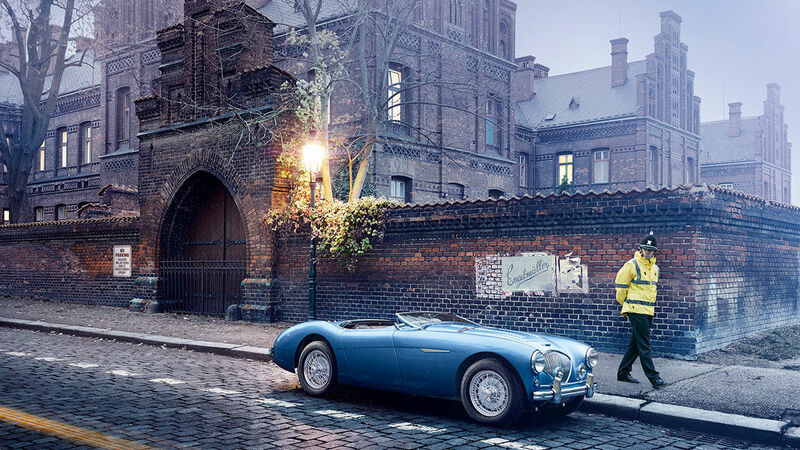 "Punctum Images is a CGI and creative post production studio focused on creating visually perfect images. Our team of enthusiastic people with strong photography background is always ready to bring your visual idea to life with the help of the latest technologies, whether we are talking about full CGI production with the highest level of photorealism, creative photography post production or look development. We have international work experience which ensures great comprehension of any project no matter the scale. We are always keen to join the client’s team from the very beginning of each production process to help optimize the project workflow and guarantee the best possible results. The studio is based in Prague, and we are always ready to join the production at any location worldwide."